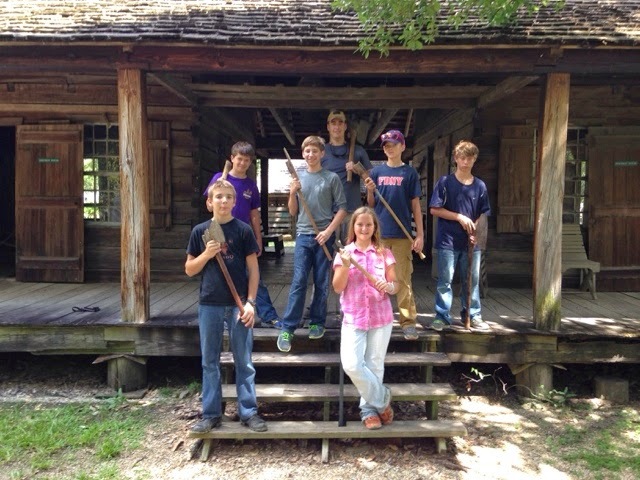 I had the privilege of working with a couple of the LSU Rural Life's Jr Docents on Thursday. 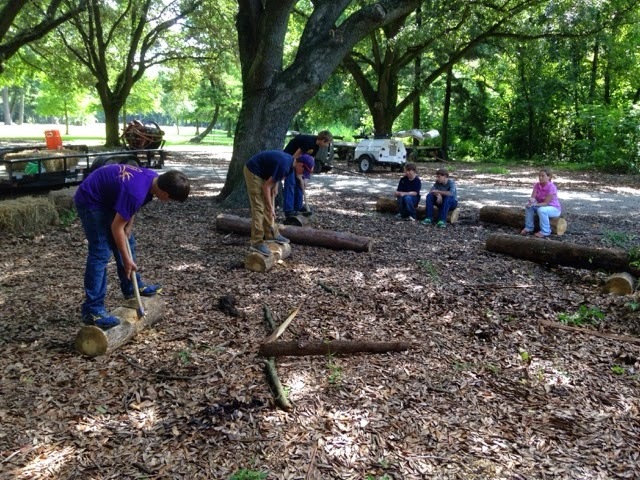 They learned the basic principles of axe work such as safety, body ergonomics, sharpening, felling, bucking and only a bit about splitting as we ran out of time. We will have another installment soon at which we will practice splitting, hewing and joinery for log houses. They were aged 11-14 years old and I was amazed at how well they all did! As we progress the Jr Docents will continue to learn these skills and so many more. Homesteading Aggriculture, Flint Knapping and Bow Building, Timbering, Coopering, Wheelwrighting, Cabinet Building, etc. If you live in the Greater Baton Rouge area bring your kids on down... ps, it's free! These kids will be well on thier way to be the next generation of traditional craftsmen.